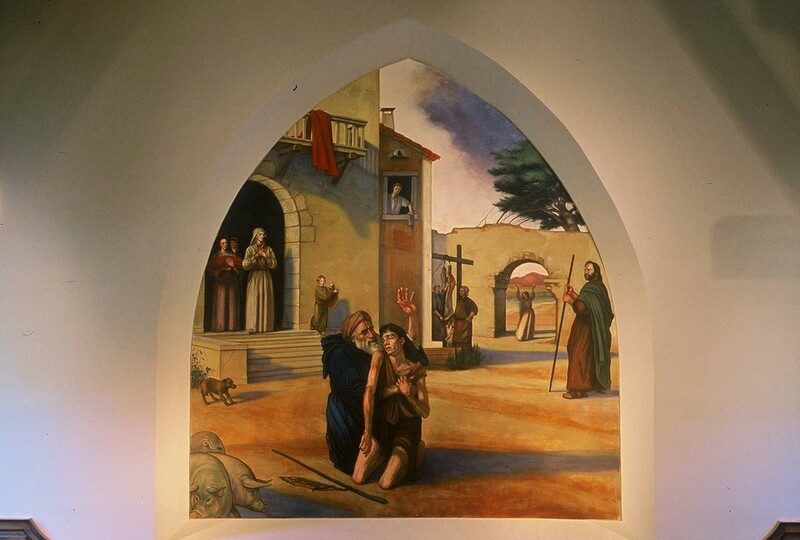 Visitors to Montreat College’s Chapel of the Prodigal marvel at the dramatic intensity and realistic detail of the artist’s large painting. Long brings to life Jesus’s story about a wayward son who ran through his inheritance in riotous living, only to return home to a father’s love and forgiveness. The old man kneels beside his wraith-like son, one hand clutching the youth’s hand over his heart and the other raised in thanksgiving. To the right, the older brother looks on in anger at this happy reunion. Across the courtyard, the mother stands with the female servants, her hands clasped to her bosom as she senses the tension between her sons. In the background, two servants butcher the calf for the banquet. A small dog barks at the bottom. Three pigs root in the foreground, a reminder of the herds that the Prodigal tended in his poverty. 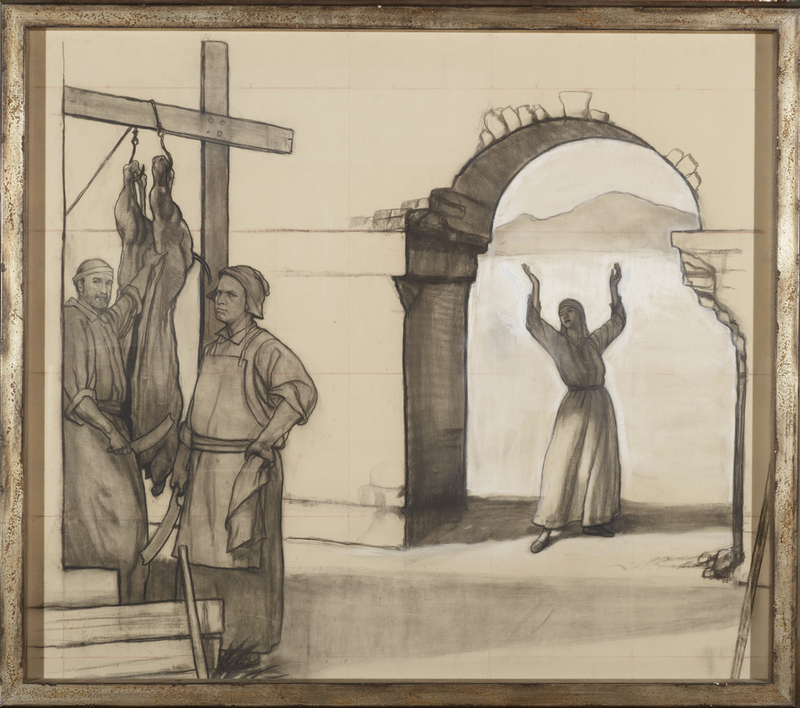 The artist spent years in preparation to paint the Montreat fresco, with drawings, oil paintings and sketches.